You’re a smart guy (or gal; forgive the pronoun). You’re a clever engineer. You design good products. Better than those dweebs in Marketing deserve, really. And what’s up with the Sales department? Don’t they understand anything about how their product – your product – actually works? Nobody understands good technology better than you do. Are you tired of being the smartest person in the room? Are you ready to stop working with bozos and strike out on your own? Got a head full of good ideas that need to see the light of day? In short, are you itching to be a techno-tycoon? Entrepreneurial spirit is what made Silicon Valley great. That, and clever engineering, have made millions – even billions – for entrepreneurial founders and has overturned established markets several times. Maybe you could give Sergey and Larry a run for their money. Or maybe you’ve got a garage just like Bill H. and Dave P. Or perhaps you’re just as clever as the Two Steves. Part of the charm of our industry is that it’s so egalitarian. Anyone can make it big. All it takes is a couple of good engineers, a little venture capital, and some used computers and office furniture, right? We know this recipe can work because we’ve seen it happen. We have an existence proof of our hypothesis. So, are you ready to make it big? To create and nurture the Next Big Thing? Spendid. Let’s get started. In this, the first installment of our multipart series on technical entrepreneurship, we’ll start with a promise: no business jargon. There’ll be no talk of “paradigm shifts” or “thinking outside the box” or “seamless best-of-breed leveraged inflection point synergies.” We’re talking engineer-to-engineer here, so no fair hiding behind corporate nonsense. As a warm-up exercise, consider this design challenge: NASA wants to probe under Greenland’s glaciers. They need to track the directions of ocean currents under mile-thick ice in subzero temperatures. The environment is harsh and, of course, money for the project is scarce. How would you approach this problem? If you’re like most engineers, you’re mentally designing little floating electronic sensors, maybe with wireless interfaces to radio back their data. Maybe they’re solar powered, or if you’re especially clever, you might be thinking of some way to use the sea water or thermal differences to help power them. If you’re Dr. Alberto Behar at Jet Propulsion Laboratory, however, you dump a bunch of rubber ducks in the water and watch where they float. Each $2 plastic tub toy is imprinted with his e-mail address and the promise of a reward to anyone who finds it. Within a few months he’d collected enough data to answer NASA’s questions, for almost no cost and with precisely no engineering development. Now ask yourself, are you delighted or disappointed by this approach? If you’re upset that the solution didn’t involve microprocessors, MEMS, digital sensors, and RF interfaces then, frankly, you won’t make a good techno-tycoon. Which brings us to Rule One. How Much Do You Love Engineering? The first thing to ask yourself before starting your own company is, how much do you enjoy engineering? Stated another way, would you be comfortable hiring someone else to do all the engineering while you stand back and manage the company? This is an important one because it tests your personal goals. If what you want is to design and build neat stuff, that’s fine, but it’s not a path to riches, entrepreneurship, or company independence. It means you’re an engineer, not an entrepreneur. There’s nothing wrong with that – unless you’re trying to be an entrepreneur. Do you want your widget (or software, or service, etc.) to see the light of day, or do you want to create it with your own hands? And if those two were somehow mutually exclusive, which is more important? Being a good engineer doesn’t preclude you from also being a successful entrepreneur, of course. But neither does it guarantee success. Engineering and business management are two distinct and disjoint skill sets and there’s no reason to believe that success at one breeds success at the other. 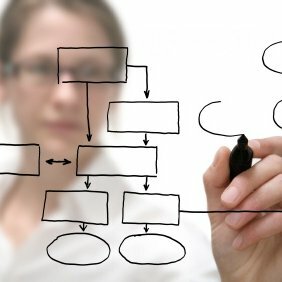 If you prefer the engineering to the business management, maybe you want to join an interesting startup rather than create an interesting startup. This brings us to our second question. If, by some miracle, someone else created the exact same widget (or software, or service, etc.) as you and offered to sell you one today, would you buy it? This tests your attachment to the project versus the product. In other words, are you excited by your idea because you want to build it or because you think it’ll sell? That can be a tough question to answer, somewhat like asking if your kids are honestly the most beautiful and talented kids in the world. It’s hard to separate the excitement of engineering from the cruel reality of selling. The bigger question, of course, is not whether you’d buy it but whether someone else would buy it. But we’ll save that for a future installment. If you’re still with me, then it’s time to consider your first and last steps. In any project plan, the first and last steps are the most important. The first step is making the decision to start. “A journey of a thousand miles begins with a single step,” according to the proverb. Taking that first step is a big deal. You’ll likely be abandoning the comfort (or agony) of your current employment and stepping into a world of indecision, outside pressure, financial turmoil, imperfect information, broken deals, and unrealistic expectations, all punctuated by moments of sheer terror. Sounds like fun, huh? The last step is just as important, and one that many, many companies forget. The last step means truly finishing the product. I don’t mean just getting the prototypes working and off to production (that’s engineering thinking again). It means thinking through and delivering on the entire customer experience including end-user packaging, shipping and delivery, the ordering process, payment processing, customer service, and all the other “trivial details” that have to be nailed down solid. This is where most startups (and many big companies) fail. They think that if the product works in the hands of a skilled operator, their work is done and any trouble arising after that is due to customer ignorance. In the telecommunications industry this is known as “the last mile.” Having the world’s fastest fiber-optic network backbone doesn’t mean anything if it doesn’t reach the customer’s house. Similarly, many startups forget or ignore the last steps that have little to do with engineering but that mean so much to the customer. Your role as techno-tycoon is not to handle most of those issues – you have to handle all of them. We wouldn’t be reading stories about Frodo Baggins if he’d given up short of his goal simply because it got too difficult or because it “wasn’t his job.” Your “product” includes everything around it; the entire customer experience. Indeed, sometimes the only innovation or value a startup brings to the market is a different customer experience. Don’t fall back on the time-worn engineers’ excuse that, “I got my part done. It’s someone else’s responsibility now.” When you’re a startup, it’s all your responsibility. That’s why you get the big bucks. In future weeks we’ll look at the importance of marketing (oh, no!) as well as organized sports, Kool-Aid, lousy products, feature creep, and The Curse of Knowledge.